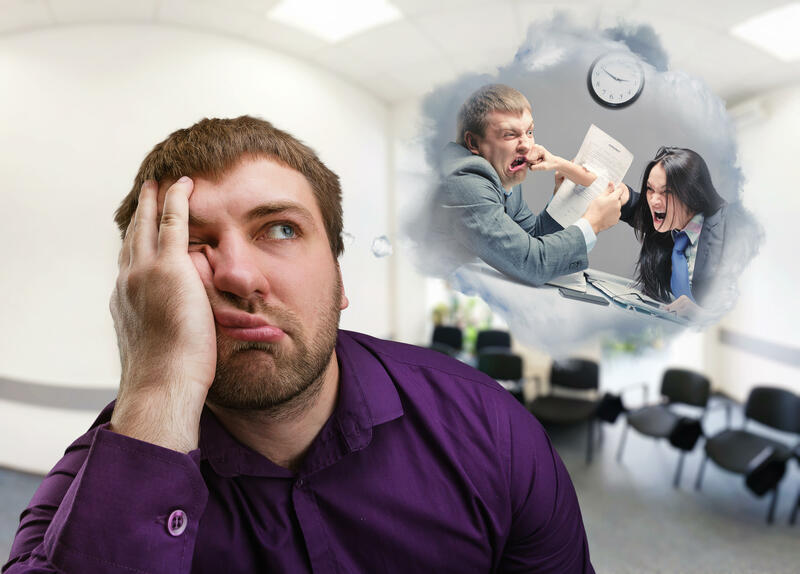 Are You Frustrated with Employee Performance? Who is the Problem? WOW! Think about that – what if less than 1/3 of your employees are fully engaged and 17% are actively disengaged? Even if your organization is significantly better, it is still kind of sobering and indicates there is plenty of opportunity. Can you see that with this widespread crisis in enthusiasm, that gaining greater engagement could easily be your competitive advantage? Last summer, I attended a book signing for Jack and Suzy Welch’s book The Real-Life MBA. Jack was questioned about GE’s practice to get rid of the bottom 10%. In response,he estimated that during the book tour he had the opportunity to be in front of more than one million people. When he asked, “By a show of hands, how many of you know where you stand with your boss?” The response was shocking with a minuscule number between 10-15%. His point was this, no one should ever be surprised when they are let go for poor performance. We know that one of the key premises in any organization that uses EOS® as their business operating system is that we, the leadership team, own every problem and issue. In the case of Jack’s question above, the issue that needs ownership is that many employees simply do not know where they stand. While there are many actions and practices we help organizations implement to remedy this issue, I would like to address one that is often the most challenging. That is having regular open, honest and transparent, one-to-one conversation with our direct reports. We call this the Quarterly Conversation™. Quarterly Conversation™is a face-to-face conversation with each direct report. It is an informal conversation to talk about what’s working and what’s not. It’s not a performance review (that is a subject for another time). It is also different than a one-on-one meeting, where you’re focusing on immediate issues. The overarching purpose is helping them do a better job, ensure they have the resources, have greater satisfaction and to improve your relationship. As a result of course, this means they are happier, getting more done and the organization is more efficient. The Conversation should be held off-site, over coffee or lunch. You also want to be in a place where you won’t be interrupted, where you can speak openly and where you’ll be free from distractions. So the coffee house you frequent and have many acquaintances is not a good place. To keep the conversation focused on why you are there and to help prevent wasting time with the small talk we often used to avoid the hard conversations, we use what is called The 5-5-5™ (illustrated below). Nearly everything this conversation should be about revolves around your Core Values, their Rocks and their specific Roles. 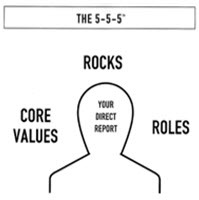 The “5s” are symbolic for 3-7 Core Values, 1-7 Rocks (priorities for the current quarter) and 4-6 Roles that define their roles and responsibilities. 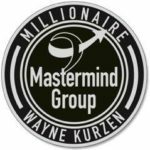 The Conversation is held quarterly because we know it is a proven fact that our clarity and focus begins to fray after about 90 days. The Quarterly Conversation™is so important that the authors of How to Be a Great Boss have devoted an entire chapter to the techniques. I highly recommend that you read it. As you begin the practices, it will likely feel a little awkward for both of you. But press on! You will be glad you did. Feel free to pass this on to someone you think would find value. As an EOS Implementer™, I help Business Owners & Entrepreneurs like you, to get more of what you want from your companies.